While the solo 401k and IRA required minimum distributions (RMD) rules are similar, there are differences which results in confusion. 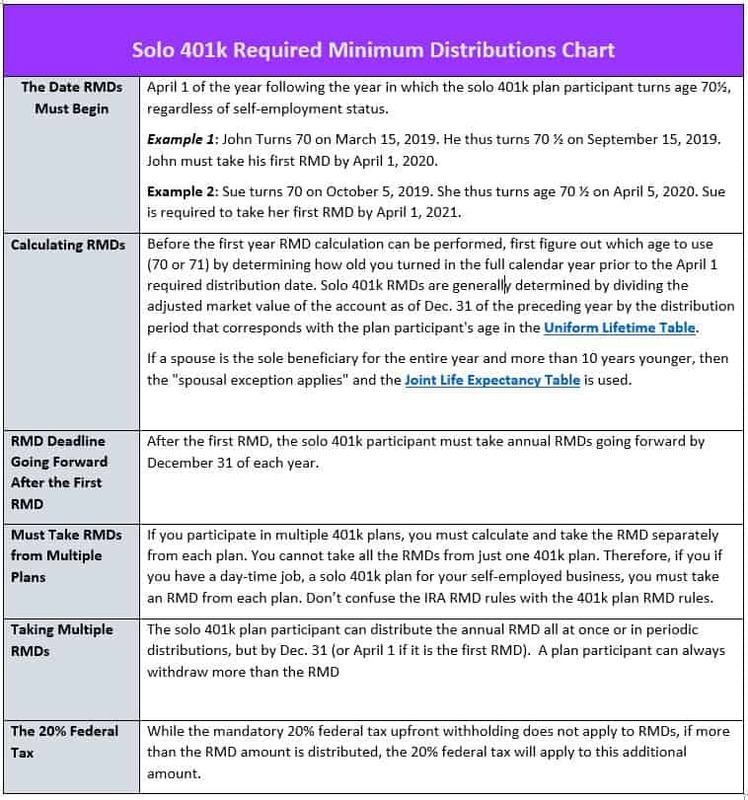 The following chart covers the RMD rules as they apply to the solo 401k plan. Who is not required to take a 2019 RMD by December 31?